Wizkid seems ready to chart new territories with his new feature on French artist, MHD’s new single, “Bella”. Odd as it may seem, the highlight of this year’s World Cup in Russia was France’s sociable immigration laws and the country’s unprejudiced appreciation of talent. MHD has garnered a rather impressive fanbase with his Hip-hop niceties, but it’s his fusion of Trap and Afropop on “AfroTrap” that has done the best on YouTube. 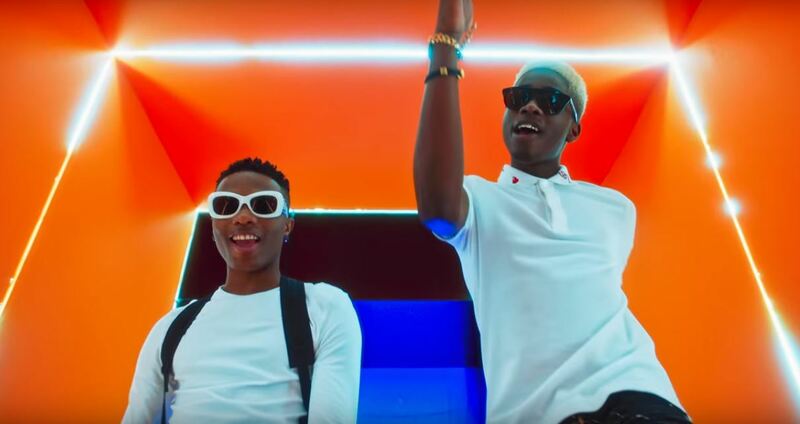 His new single, “Bella” features Wizkid who joins him as they perform an ode to their love interest over a beat that allows them to share a chemistry despite the language difference. The video for “Bella” is set in a dimly lit room, showing MHD and Wizkid performing their sets in colourful costumes. Watch the video for “Bella” below.